The next best thing to becoming an actual astronaut! As the pilot and mission commander of mission STS-101, it's your job to successfully launch the space shuttle Discovery into a stable orbit around the Earth, to dock with a damaged satellite as many times as possible, to pilot Discovery through re-entry and to land the shuttle at Edward's Air Force Base, all the while limiting your fuel consumption as much as possible. The number of satellite dockings and your remaining amount of fuel will be used to determine your final ranking. You have full control over such things as the cargo bay doors and the landing gear, and with three different play modes of increasing simulation difficulty, you will be able to experience the realities of space travel like a real astronaut! 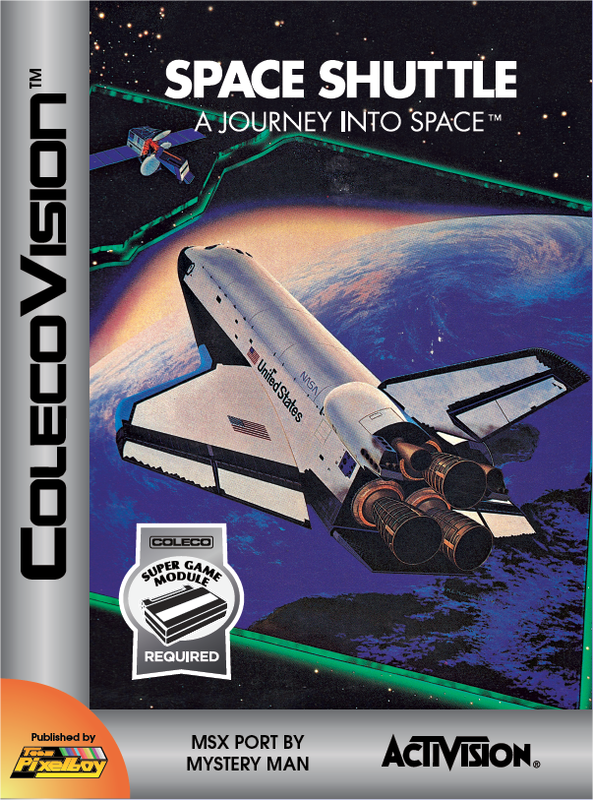 Imagine my surprise, years later, when I discovered that Space Shuttle had been released for other consoles and computers, including the Apple II, the Atari 5200, the Commodore 64, and...	the MSX! 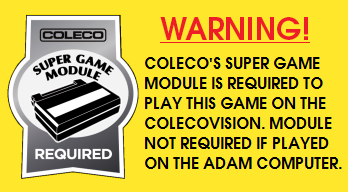 The MSX version uses a graphic mode which the ColecoVision can easely match, so there is an actual opportunity here of porting the game to the ColecoVision! Can you imagine using the ColecoVision's controller keypad to activate the main engines, open the cargo bay doors or lower the landing gear? On December 25th 2014, as a Christmas present, Mystery Man accepted undertaking the difficult challenge of porting this MSX game to the ColecoVision. The port was finished in early April 2015. The MSX port of this game was handled by Mystery Man. Software Software is done, and has entered the beta-testing phase. Manual Some preliminary work was done. 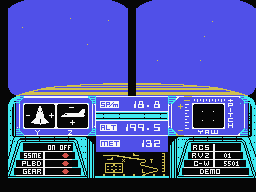 The game will include one main manual (for general information) and 4 sub-manuals: One for launch, one for orbital operations, one for re-entry, and one for landing. Cartridge Label Cartridge labels have been printed. Controller Overlay Overlays have been manufactured. 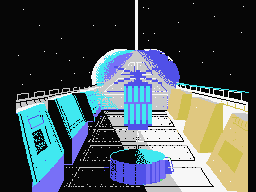 Here is a YouTube video of the Atari 8-bit computer version of Space Shuttle. The ColecoVision version (which was ported from the MSX version) looks, sounds and plays very much like what you see below.